Obituary – Dunivan, Florence Gertrude (Speer) « Perry High School Alumni Association, Inc.
﻿Normal Training ’22, Junior Play ’21. ﻿Florence Gertrude Speer Dunivan, 95, grew up on the Noble County farm that her father homesteaded in the Cherokee Strip Run of 1893. She was the daughter of Lawrence “Sut” and Ellen Vashti (Turner) Speer and was born on a farm near Morrison on Dec. 22, 1903. 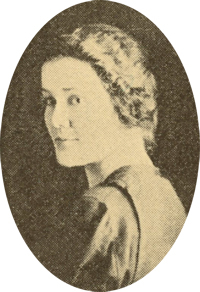 A 1922 graduate of Perry High School, she began teaching in rural Noble County schools that same year. She taught at Pikes Peak, south of Perry, 1922-23; Windy Center, east of Perry, 1923-24; Highland, northwest of Sumner, 1925-26; Jefferson, southeast of Morrison, 1926-27; and at Highland again in 1927-28. She and John Douglas Dunivan were married on May 5, 1928 in Pawnee. The couple lived on a farm north of Bill’s Corner until 1931 when Mrs. Dunivan’s mother died. They then made their home with Mrs. Dunivan’s father and her younger brother, Wayne. Mr. and Mrs. Dunivan farmed and raised cattle with her father until his death in 1939. The couple continued to farm until 1944 when Dunivan’s failing health forced them to sell their farm machinery and cattle. At that time, they purchased the Bill’s Corner grocery store and gas-station which they operated until Dunivan’s death on July 6, 1947. Mrs. Dunivan then sold the store at Bill’s Corner and began residing in a house she had moved onto land one-half mile west which was part of her family’s original homestead. 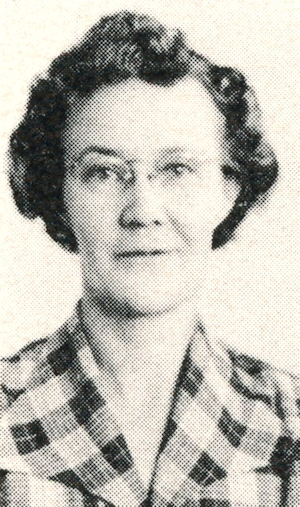 She resumed her teaching career in January, 1948 and taught at Lucien, 1948-50; Sumner, 1950-58; and Fairview, south of Perry, 1958-59; worked in the County Superintendent’s office from 1959-60; and taught at Rein School in northeast Noble County, 1960-61; and White School, west of Perry, 1961-62. She received her bachelor of science degree from Oklahoma A&M College in August, 1953 and retired in 1964. She and her family moved to Perry in 1958. Mrs. Dunivan was a member of the First Christian Church, first attending at Sumner and later at Perry. She enjoyed traveling, reading and making quilts and ceramics and was involved in volunteer work in many areas. Mrs. Dunivan died at 10:30 p.m. Friday, May 14, 1999 at Perry Memorial Hospital. Funeral was at 10 a.m. Monday, May 17, in the chapel of Brown-Sisson Funeral Home. Rev. Tim Boggess, minister of the First Presbyterian Church of Perry, officiated. Burial was in the Sumner (Pleasant Valley) Cemetery, 10 miles east of Perry. Survivors include a daughter, Mary Ellen Coldiron, Perry; a son, Dale Dunivan, Perry; granddaughters and grandsons and their spouses, Jane and Kenneth Torres, ‘Austin, TX, John and Teri Dunivan and Dee Ann Dunivan, Stillwater; Dennis and Cheryl Dunivan, Denver, CO, Clark and Beth Coldiron, Palm Bay, FL, and Dan and Beverly Coldiron and Reed and Roni Coldiron, all of Perry; great-grandchildren, T. J. Dunivan, Cara Dunivan, Isaac Torres, Bradley Torres, Jackson Dunivan, Trey Coldiron, Abbi Coldiron, Derek Coldiron, Brett Coldiron, Nathan Coldiron, Nicole Coldiron and Nolan Coldiron; three great-great-grandchildren and one brother, Wayne Speer, Perry. Mrs. Dunivan was preceded in death by her parents, one son, one brother and her husband. Memorials may be made to the building fund of the First Christian Church of Perry.